Scores of six of the ten pieces from Jon’s 2004 album Beyond The Notes are already published, and two more have now been added to our list of available online scores. As with the earlier scores, the only extant source materials were Jon’s often sketchy and incomplete guides intended for his own use in the studio. For these new performing editions, Paul Mann has painstakingly reconstructed the music based on the finished recordings and whatever instructions were left by the composer. Each work appears in both full score and piano reduction. The Sun Will Shine Again is published in two separate versions, the original written for Frida in 2004 and recorded on Beyond The Notes, as well as a re-orchestrated and transposed version which Jon prepared for performances with Kasia Łaska in 2009. Although the song itself is identical in each case, the two versions are differently orchestrated and are therefore published side by side for ease of comparison, and to allow for use by singers with different vocal ranges. More detailed information, together with original sleeve notes by the composer and new editorial notes by Paul Mann, are available under each listing. 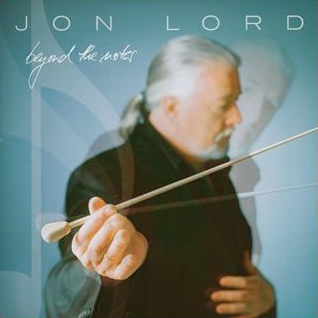 Full list of Jon Lord’s collected scores now available.